Don't worry, he doesn't bite...most of the time. 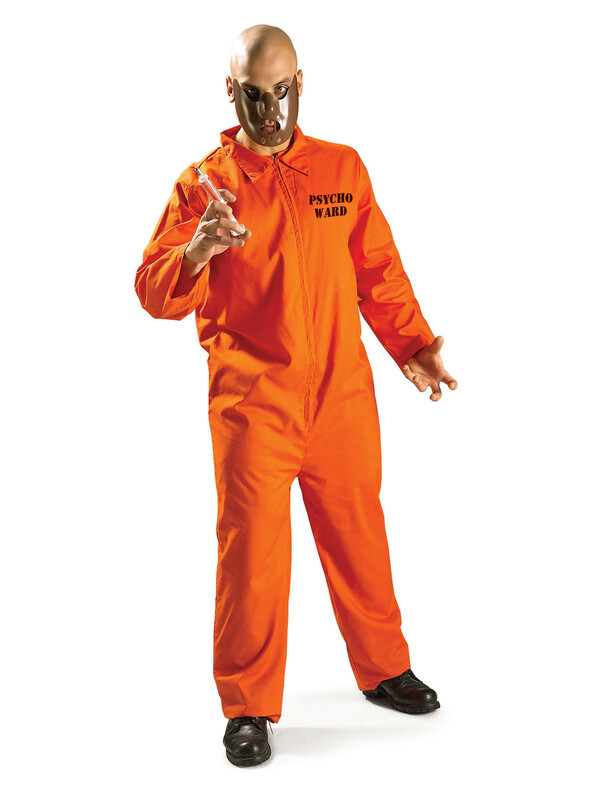 Wear our Psycho Ward Costume for Adults and look like you've finally gone over the deep end! The bright orange inmate jumpsuit has Psycho Ward written on the chest and a front-side zipper. A brown muzzle is included with the set.